At Wiygul Automotive Clinic, we guarantee our everyday low tire prices. If you find a lower price on an identical, in-stock tire at any local retailer within 30 days of purchase (internet retailers and membership clubs excluded), we will not only match the price but also refund you 10% of the difference. Customer must provide a written quote from a local competitor. This guarantee excludes special promotions, clearances, closeouts, special order, discontinued, liquidation, and back ordered tires. Cannot be combined with any other offer or used to reduce outstanding debt. Q: How does Wiygul Automotive Clinic’s price match policy work? 1. 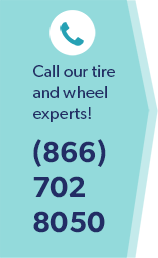 Get a written quote (email or fax is acceptable) from the tire retailer with the lower price. Please make sure the tire make, tire model, speed rating and index are included in the quote. 2. Present the written quote to a sales associate at any Wiygul Automotive Clinic location. 3. Wiygul Automotive Clinic manager will evaluate the quote and if everything meets our policy, we’ll not only match the tire price but give you an additional 10% off the difference. 1. Please bring the competitor ad to any Wiygul Automotive Clinic location and present it to a sales associate. 2. The manager will confirm that the ad meets all of the price match criteria including if the ad is local, valid within the 30 days of purchase, competitor has the tire in stock and the tire isn’t part of a special promotion, close out, etc. 3. If it meets all the criteria, the manager will offer the customer a refund of the price difference between Wiygul Automotive Clinic and competitor price plus an additional 10% of the tire price difference. Q: Can you give me an example of this policy in effect? A: Sure. Let’s say Wiygul Automotive Clinic sells a specific tire at $100/tire and one of our competitors is selling the same tire for $95/tire. If the tire qualifies for our price-match guarantee, we will sell you the tire for (95 – (10%* (100-95))] or $94.50. Q: Another tire retailer has the same tire on Buy 2 Get 2 Free Special. Will you honor that deal? A: As a course of business, Wiygul Automotive Clinic’s price match policy does not include any special promotions. However, we generally find that our competitors raise the price of their qualifying tires significantly to make up for giving away the 2 free tires. So, in effect, our every day low prices in many cases beat such special promotions. You should also keep in mind that in many cases our competitors might require you purchase additional services, such as high-end balancing, a high-end alignment or purchase tire insurance to qualify for such promotions. At Wiygul Automotive Clinic, we offer additional services but do not require you to purchase any such service as part of your tire purchase. Q: What other things should I keep in mind while evaluating the price-match guarantee? A: You should be aware that Wiygul Automotive Clinic’s policy applies to identical tires only. This means that not only should the tire make & model match but so should its speed rating and load index. In the world of tires, the same make and model of tire can vary in price significantly due to their speed rating and load index. Q: Why does Wiygul Automotive Clinic not match prices of membership clubs? A: As you know, Costco, Sam’s Club, etc. are membership clubs. They charge a significant amount of money up front for membership, which is then used to subsidize products like tires. At Wiygul Automotive Clinic, we do not have any membership charges! Plus, you should keep in mind that membership clubs generally compete on price and not quality or service. So, although, you may get a tire for a few dollars cheaper, you will find the quality of our technician’s work and our equipment to be much better. Plus, we offer the ability to make appointments, provide shuttle service and even a free pick up and drop off for your vehicle so you won’t have to wait around for hours to get the work done. Q: Why does Wiygul Automotive Clinic not match prices of online retailers? A: Wiygul Automotive Clinic has a very different business model than online retailers so we don’t compete with them on the basis of price. However, you will find that Wiygul Automotive Clinic prices on most occasions are similar to the online retailer’s prices once you take the total cost of purchase into account, i.e. tire price plus shipping cost. Most people fail to take the $60 - $100 shipping cost for a set of tires into account when comparing!